by G.S.P. Freeman-Grenville. 72 pgs. 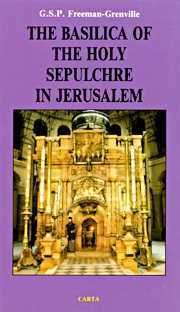 Illustrated guide to the Basilica of the Holy Sepulchre of Jesus Christ in Jerusalem. Excellent photographs, illustrations and information.